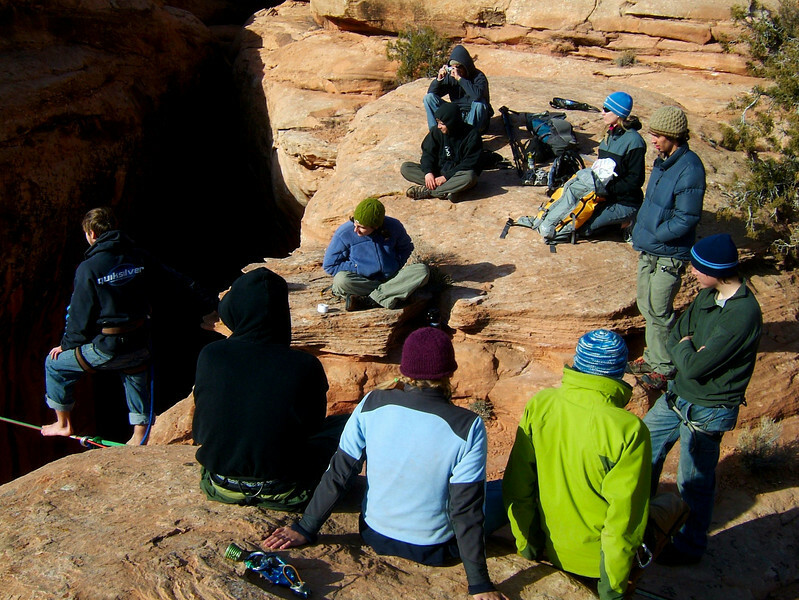 Slackers, highlines, and the first rigging of the Dog Hole rope jump in Moab, Utah. One of the best parts of highlining is just hanging out in incredible places with great friends. The slackers all watch as Dave pushes his limits on the Birthday Gap highline.